Bursting with light-giving nutrients for high-gloss white and grey hair.Use multi-purpose Lifeshine Oil to nourish, gloss and smooth your white and grey hair. With extracts from the African Baobab tree, it's bursting with light-giving properties and moisturising nutrients for healthy hair. 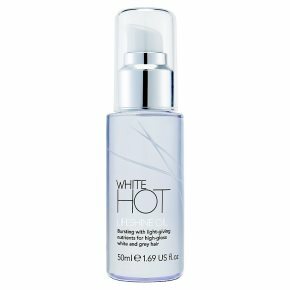 Directions: Warm a few drops in your hands and smooth onto damp or dry hair as a treatment, before blow-drying or for a smooth, high-gloss finish.